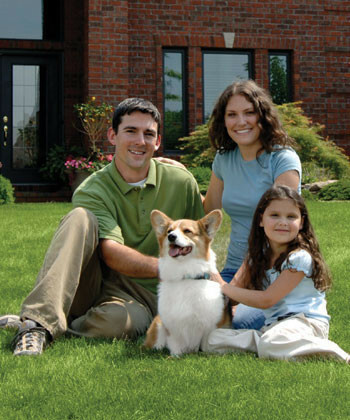 For 25 years now Pet DeFence has been managed and owned by people who live here just like you. We deliver safety, convenience, and peace of mind to your family and freedom for your pets to roam but not leave your home! 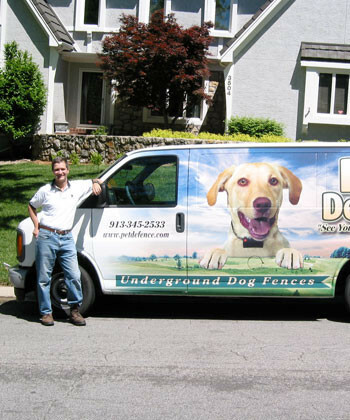 As your dealer and trainer, we provide professional installations and training, as well as independent support for Invisible Fence® brand systems and factory recommended support for all other brands of underground pet containment fences. Call 913-345-2533 or 816-531-5151 for your free estimate. Introducing LINK™ – Your home is already connected to your smartphone. Why isn’t your dog? Download the LINK app to your phone today to see how easy it could be to connect to your dog. Imagine the industry’s tiniest, lightest and rechargeable containment collar. Now imagine connecting this collar to your dog’s pet fence system through your smartphone. Stop dreaming. The wait is over. LINK™ has arrived. 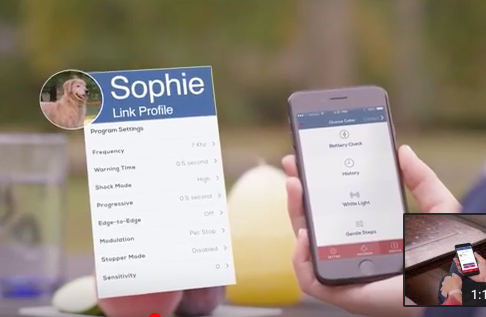 LINK is a Bluetooth-enabled dog fence receiver and smartphone app made exclusively by Pet Stop, our manufacturer. 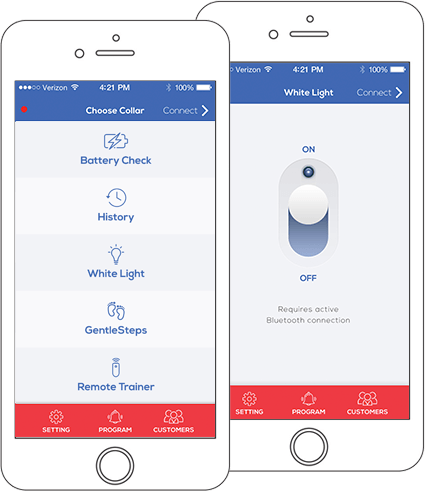 It monitors your pet’s behavior and the working state of the receiver, allowing you to proactively adjust settings with a quick click. You can even contact and message your dealer through the LINK app. With LINK you’ll have access to real-time information at your fingertips and so will your dealer. As your dealer, we can help you troubleshoot and send you programming changes for your dog’s collar. LINK makes it all so easy. 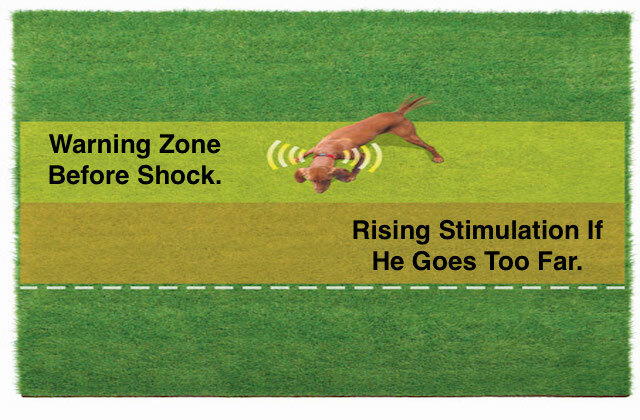 LINK’s breakthrough technology forever changes the peace-of-mind you get from your hidden dog fence. With LINK you can instantly access more receiver settings than with any other manufacturer’s brand. Call us today (913-345-2533) and be the first in your neighborhood to see and own a LINK™ receiver. 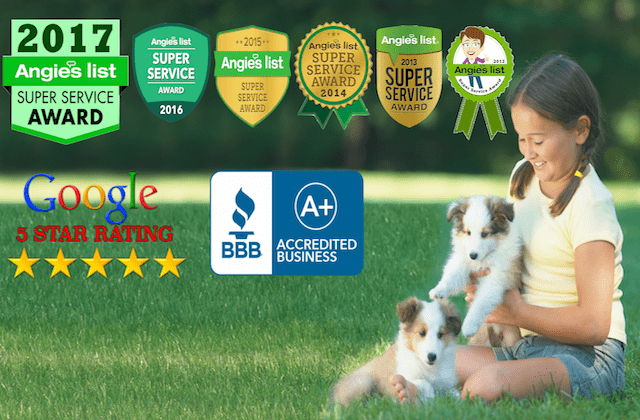 Pet DeFence® Hidden Dog Fences has an A+ Better Business Bureau rating and is the continuous recipient of “Angie’s List® Super Service Provider Award” for 2012, 2013, 2014, 2015, 2016, 2017 and 2018 with over 120 “A” reviews across four different categories. Join Angie’s List for free today to see them. They love us on Yelp. Also, check out our 123 x “5-Star” Google reviews. Roger McCoy, founder, and owner of Pet DeFence®, has more years of experience in this industry than the other two leading fence companies salespersons and their new owners combined. 72 local veterinarians recommend Pet DeFence® hidden dog fences and 35 of them trust their family’s dogs’ lives to our underground dog fences, even after owning and changing from other brands of electronic underground fencing, including the Invisible Fence® brand. Check our Vet References to see if your vet is on our list. More than 4,000 other satisfied customers recommend us. In fact, well over half of our hidden pet fence customers come from referrals. You can see why our reputation and training methods are our most cherished assets. Simply put, we offer only the best dog fence training, equipment, service, and installation in the industry. 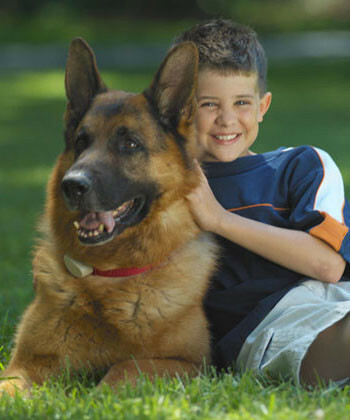 Our goal is to give you peace of mind while keeping your pet comfortable and safe. Pet DeFence specializes in pet containment using hidden dog fence solutions and features Pet Stop® electronic dog fence systems. We provide sales, installation, “GentleStart™” and “SafeYard™” training and service for complete fence systems, as well as providing independent support for Invisible Fence®, PetSafe®, Dog Watch®, Dog Guard®, and other electronic dog containment brands. Roger McCoy, President, and owner of Pet DeFence is the exclusive provider and originator of “GentleStart™” and “SafeYard™” training methodologies. These methods are so special that they are recognized by the International Association of Canine Professionals. Our hidden dog fence systems feature a Triple Safety Signal. Our unique training with the support of our state of the art products translates into greater safety, fun and happiness and far less stress for you and your dog. 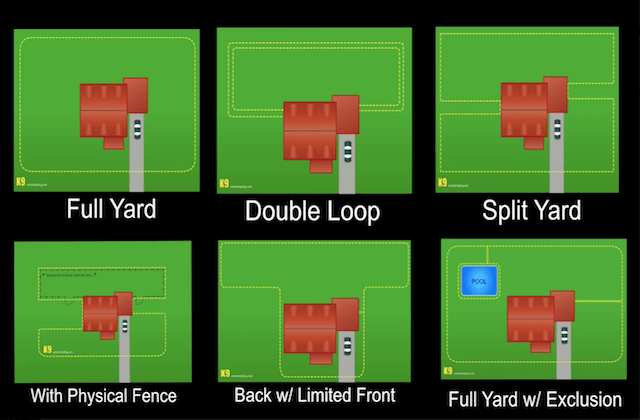 “GentleStart™” training gives you easier and quicker results on your new hidden pet fence and better long-term success. All with a money-back containment guarantee. The biggest difference is the training we provide you and your dog. Do you already own an Invisible Fence® brand hidden dog fence? Do you need better service or just tired of the expensive battery plan they require of you? Call and ask about our Invisible Fence® Brand upgrade program. We also offer Invisible Fence® compatible batteries, and dog fence collars compatible with Invisible Fence® brand, PetSafe®, PetSafe® Professional, Dog Guard® and Dog Watch®. Does this sound like you and your dog? Does your dog dash for open doors and gates and into the street? Has your dog ever run away from you, even for just a few minutes? Does it scare you when you cannot find your dog? Does your dog dig out or under your existing fence? Do you have a lovely view that would be ruined by a wooden fence? Does your dog dig in the gardens? Have you ever NOT taken your pet out because you didn’t have time, or because it was too hot, cold, wet, or late for you? Does your dog jump, climb, chew or squeeze through your wood or metal fence? Does your pet unlock the fence, or leave because someone didn’t close it? Has your dog ever run with other neighborhood dogs? 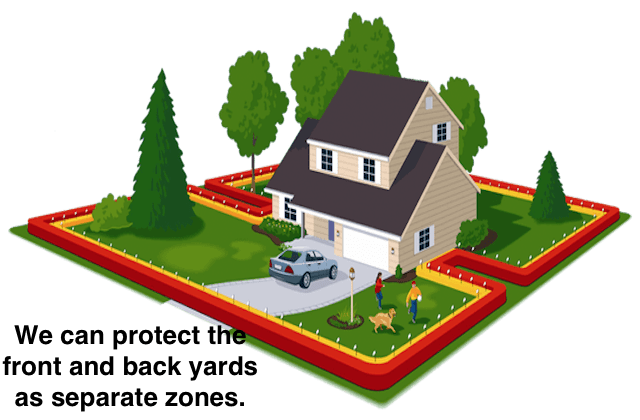 Does your neighborhood prohibit wood, chain link or metal fences? Has your dog ever chased your neighbors’ cats, horses, cows, goats or chickens? Aren’t you tired of these things happening all the time? Wouldn’t you love to get back about 30 minutes a day from having to watch the dogs? Wouldn’t you love to contain your pets so all this would be a thing of the past? Make these problems a thing of the past by choosing the best for you and your pet. 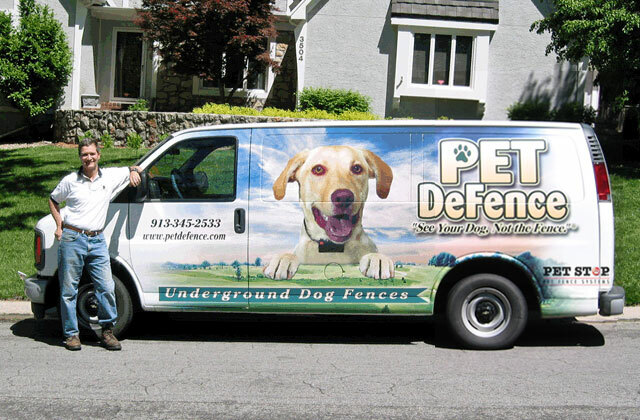 Call Pet DeFence® for a free estimate today. Call us at 913-345-2533 or 816-531-5151 for your free estimate. "I contacted Pet DeFence after trying a retail fence system that didn’t keep my dog in the yard. Roger installed a professional system and re-trained my dog. I trust my dog’s safety to Pet DeFence. I wish I had called Pet DeFence from the beginning. Now everyone in my office exclusively recommends them for containment, training and safety."